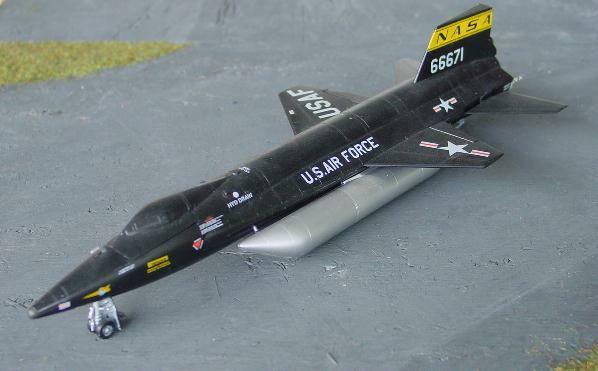 The North American X-15 was the fastest plane flown up till date, reaching a record speed of Mach 6.72 in 1965. First flight was in 1959. 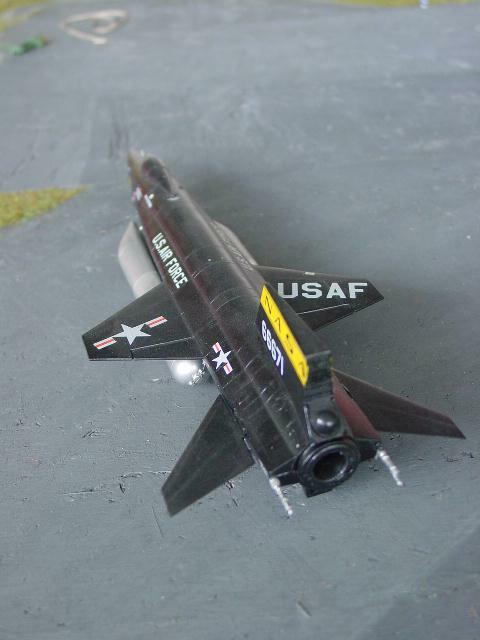 The X-15 was a Thiokol rocket propelled research aircraft to get data on high speed aerodynamics. 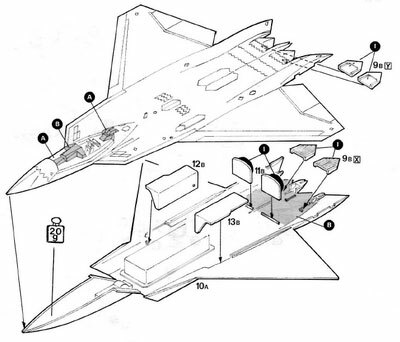 New technologies were used throughout like the heat resistant Inconel X alloy and the main undercarriage consisted of retractable skids. 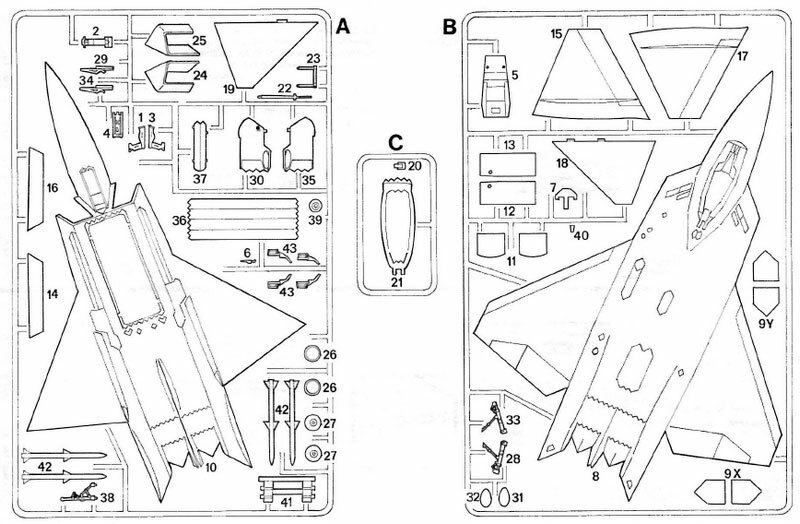 Several planes were built. 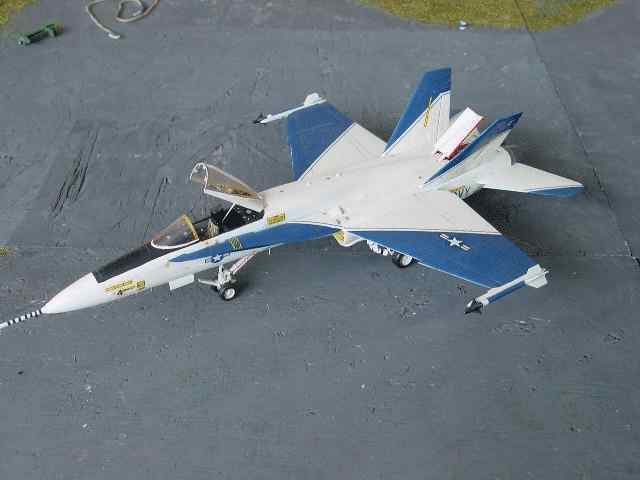 A long time ago, Miyauchi of Japan had a 1/72 scale kit which was pretty good. This kit is very very rare. 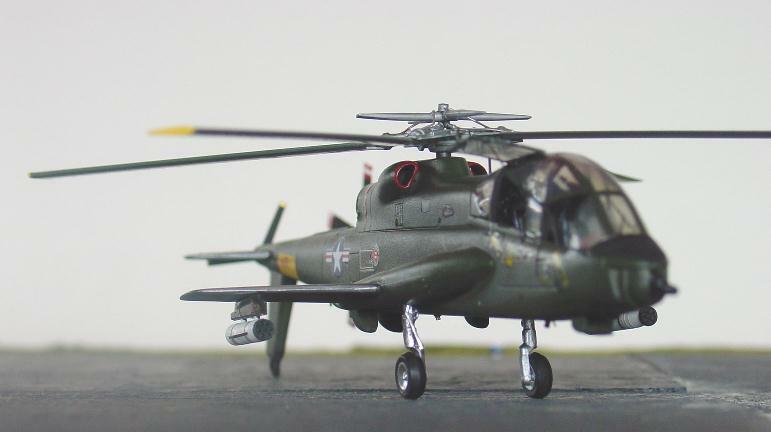 Also Revell issued a kit but I believe it was more in scale 1/65. Vacuforms were also issued ny Airmodel/Frank modelbau and ESTES had an injection moulded kit. 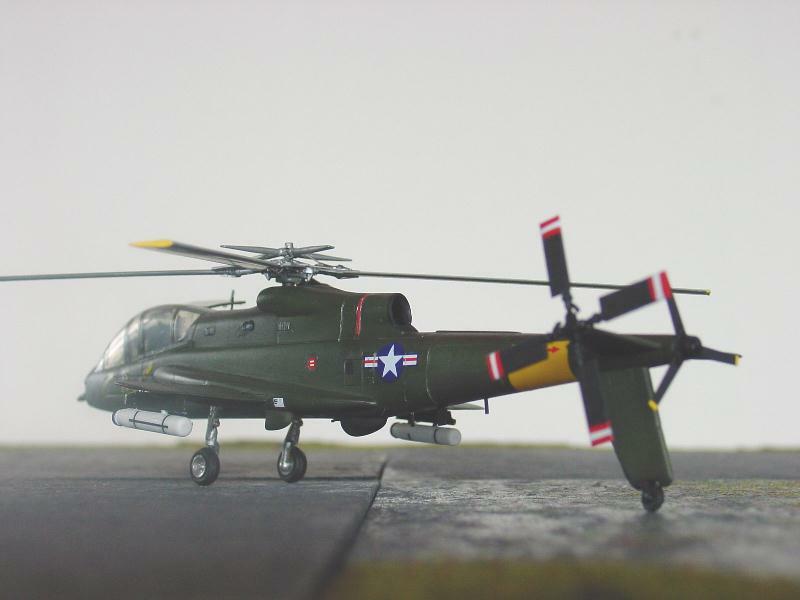 The best model is of Monogram in 1/72 scale and it is an excellent injection moulded model, the older model being in an odd scale of Revell/Aurora. 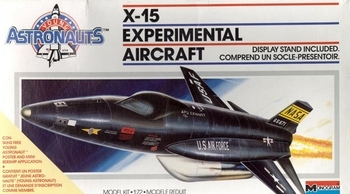 The finish is black with some options on the different derivatives flown of the X-15. 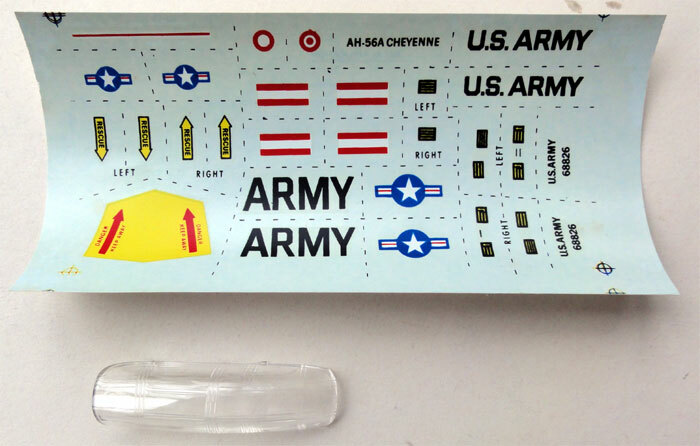 The decals of the kit are a bit thin, so first put some yellow backing sheet before applying the yellow NASA logo's. The Northrop Hornet was developed initially as the YF-17, in competition with the YF-16 for the USAF Light Fighter requirement of 1975. 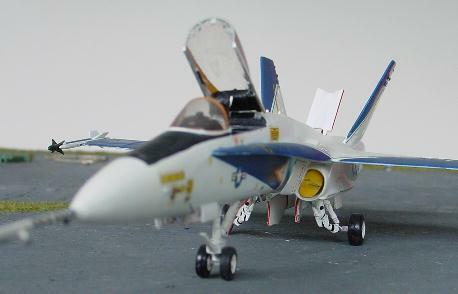 Later on, the YF-17 was used as a basis for the (later McDonnell Douglas) F-18, the YF-18 model being shown. The F-18 is, as the General Dynamics (later Lockheed) F-16 in the USAF and NATO countries, in wide use with both US NAVY, Canada, Australia and Malaysia. 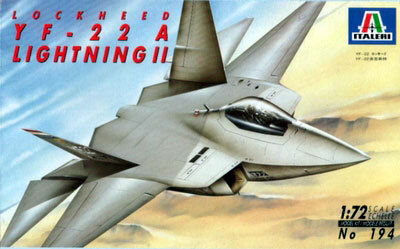 The YF-18 model shown has the special test markings, which are supplied with the good Hasegawa YF-18 kit in 1/72 scale. The thin blue striping were made from lines from special decals and the blue panels were sprayed on. 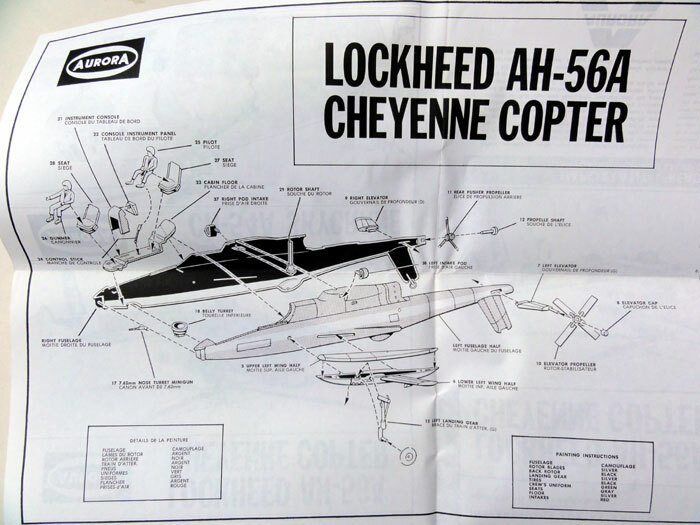 The Lockheed Cheyenne was a Lockheed design for a fast attack helicopter. It featured a pusher propeller besides the conventional rotors. 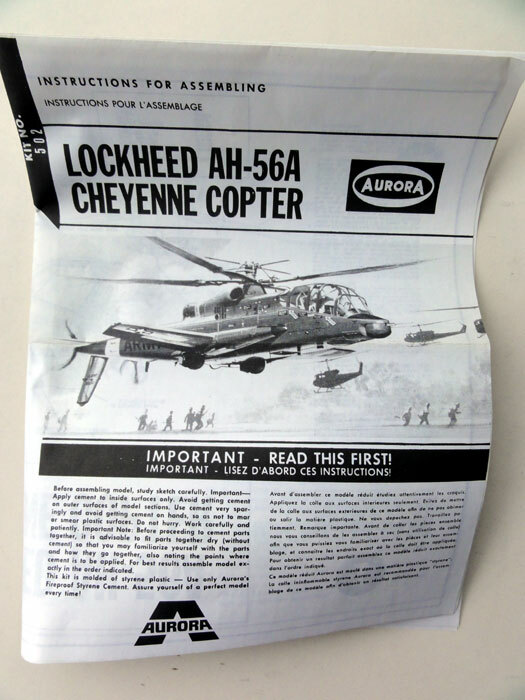 The AH-56A Cheyenne was able to reach a maximum speed of 253 mph and the test program of 1969 was successful. However it was considered too expensive to put into production. The model in 1/72 scale was the old model from AURORA. It is a rather crude model, especially in the rotor area. 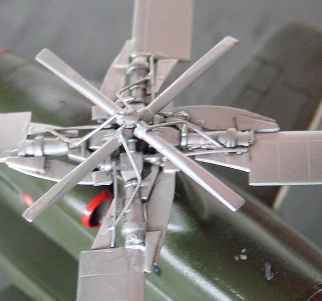 I replaced the rotorhub and rotorblades with reduced length blades from an Airfix CH-54. Panels were filled and the gaps filled. Also, the cockpit was detailed and I opened the hatches with some clear plastic. 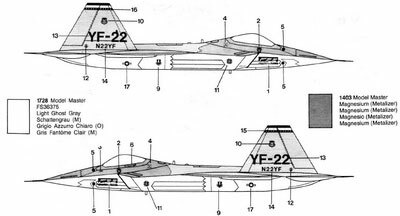 The Lockheed YF-22 is a design to get into a "state of the art" fighter as replacement of the F-15 air superiority aircraft in the USAF inventory. 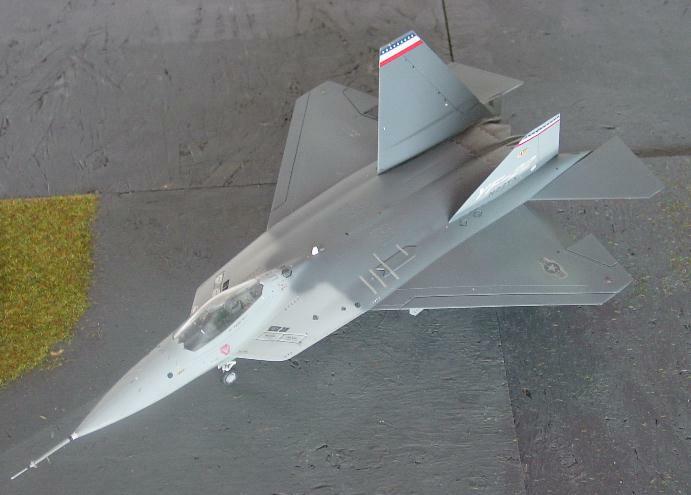 The YF-22 flew first in the beginning of the nineteenhundred-nineties and currently flight test results have resulted into a re-design into the F-22 Raptor. 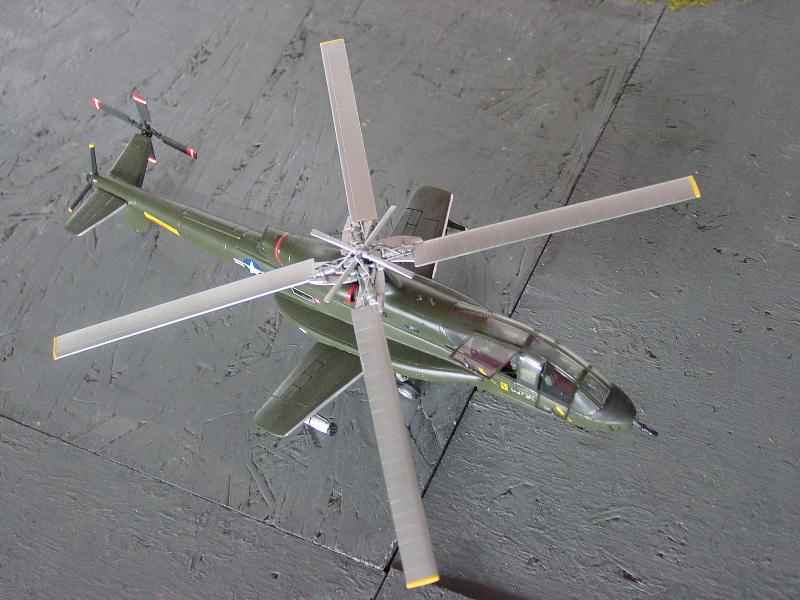 The model #194 from Italeri representing the prototype in 1/72 is quite good. It was made "straight out of the box". I only added the internal missile weaponsbay and intake ducting. 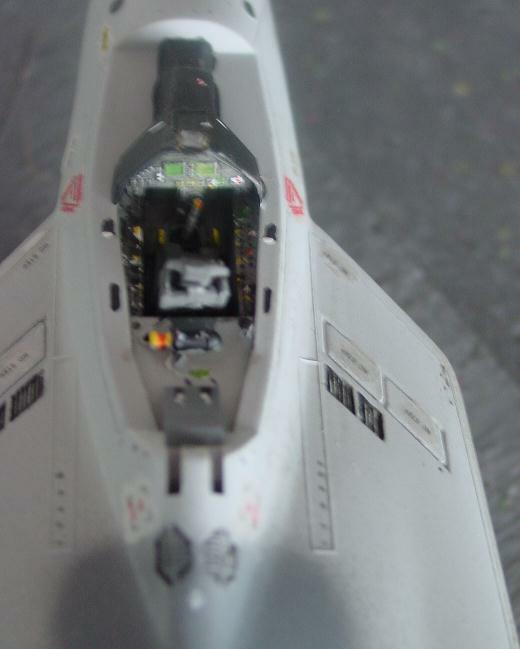 The newer kit of Italeri in 1/72 of the F-22 Raptor is unfortunately very inaccurate. ACADEMY has thankfully issued an excellent kit in /172 scale in 2012. - Janes pocket book 12 on research & experimental aircraft.